7 significant trends for 2017 and beyond from Dell's Vice Chairman.No doubt some of these will change the way you do business. 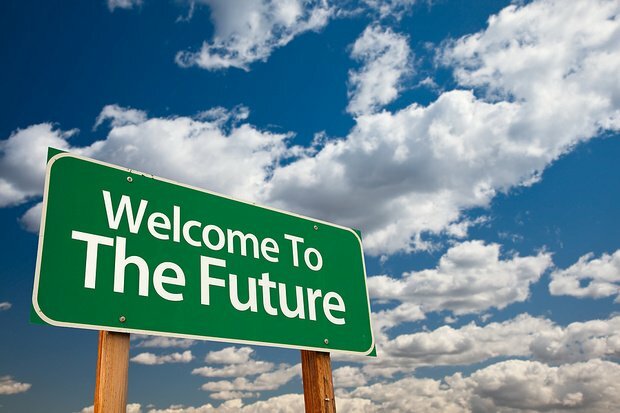 If you could predict the future, how would you do things differently? According to the Digital Business study conducted by Dell Technologies across 16 countries which include UAE and Saudi Arabia, 66% said competition from digital start-ups is incentivizing them to invest in their IT infrastructure and digital skills leadership. The last couple of years have been tumultuous for organizations to say the least. Every cinema in the region has its Netflix and YouTube. Every bookstore and library has its Amazon. Expect even more disruption to come down the pike. Established companies are being out-maneuvered and out-innovated by digital start-ups across the world. Nearly one in two don’t even know whether they’ll be around in 3-5 years’ time. But amid the disruption is opportunity – and lots of it. Here are seven significant trends for 2017 and beyond (seven being a lucky number). No doubt some of these will change the way you do business, from the edge, to the core, to the cloud. 2017 will signal the democratization of immersive creativity. Very soon, creators will be able to weave their magic with some super powerful technology – and in time, this technology will be adopted by the wider population. Builders and architects will walk onto project sites and use their devices to see full-scale models of buildings before any work has even begun. Hobbyists will see and do with a twist of a knob, swipe of their finger, or scribble of a pen. Using touch and totem rather than point and click, kids will draw their way onto Minecraft. According to IDC's 'Worldwide Augmented and Virtual Reality Spending the MEA market is set to expand to $6 billion by 2020. Over the next few years, expect VR/AR to reach a tipping point and redefine the future of GCC. Organizations in the region have been quick on leveraging this technology to transform consumer processes and interactions, in addition to democratizing business, education and health care. The blurring of the physical and virtual worlds could well herald the end of lectures and incessant note-taking, by bringing education to life with more immersive senses like touch. Furthermore, AR and VR will enable medical institutions and hospitals in the region to facilitate access-at-a-distance surgeries and medical care. This is likely to increase the relevance of the efforts put forth by Dubai, which is taking giant strides in becoming the medical tourism hub with an aim to draw 500,000 medical tourists by 2020.
Business chiefs are popping-up all over the place. Chief Digital Officers were all the rage but now there’s a new kid on the block, in the shape of the Chief IoT Officer. Why do we need them? Because companies will experience mounting pressure to bridge the gap between operations and IT. IDC claims that the global data volume will increase to 44 zettabytes over the next six years. In a bid to improve ROI and efficiency, the Chief IoT Officer will be the agent of change, responsible for pulling their organizations into the Fourth Industrial Revolution, a world which pulses to the rhythm of eleven billion connected devices on the planet today (by 2025, IDC forecasts this will grow three-fold to 80 billion or more – 11 times more than the number of people on the earth). Big job! Expect the attack perimeter to widen this year and encroach upon other areas of the business beyond the IT network. 2016 has been earmarked with a series of advanced cyber-attacks particularly targeting the banking and finance, Oil & Gas and the energy sectors – which are the backbone of the regional economy. Recently, a variant of a lethal computer virus called Shamoon attacked Saudi Arabia’s General Authority of Civil Aviation. It crippled thousands of computers in its wake, bringing all operations to a halt. This proves that in the age of the connected world – practically anything with an IP address can be hacked. Understanding that it’s not just your data that needs to be protected, but devices as well is going to be a critical awakening for businesses going forward. Any doctor will tell you that prevention is better than cure. And now, thanks to machine learning, we can tell when a piece of technology is about to break before it does, and address the issue quickly. Advancements in machine learning are enabling organizations to take a step closer to develop intelligent systems, which are more responsive to the changing IT environments. Furthermore, besides deploying talent on more strategic IT projects vs. spending time on break/fix services, machine learning allows the IT staff to focus on business innovation. This represents far fewer fires to put out. This isn’t the generation who settles for second-best, because we’ve gotten used to progress at 100mph. R&D teams are constantly working-up a sweat to surprise and delight their customers. And just when people thought 5K resolution would supplant 4K as the next industry standard, rumors of large displays with double the resolution are starting to circulate. In 2017, people’s experiences of living in technicolor will be upgraded further, until the real-world will look dim in comparison. It’s no secret that companies – and people – are struggling to cope with the tremendous amount of data now online. But brace yourselves – large scale data will soon help machines understand things in brand new ways. For instance, MIT is doing some really cool stuff with vision perception. By making machines watch popular TV shows like The Office and Desperate Housewives, they’re learning how to predict how humans will behave. The MIT researchers believe machine perception will revolutionize industries where insight can be acquired from data at scale. For example, computer vision may provide an affordable, more accurate procedure to screen people for medical issues. In time, machines will start to apply their learning across modalities and domains – making it possible to learn from text or virtual worlds. Exciting stuff! Maybe I’ll let the machines write these predictions in a few years’ time.